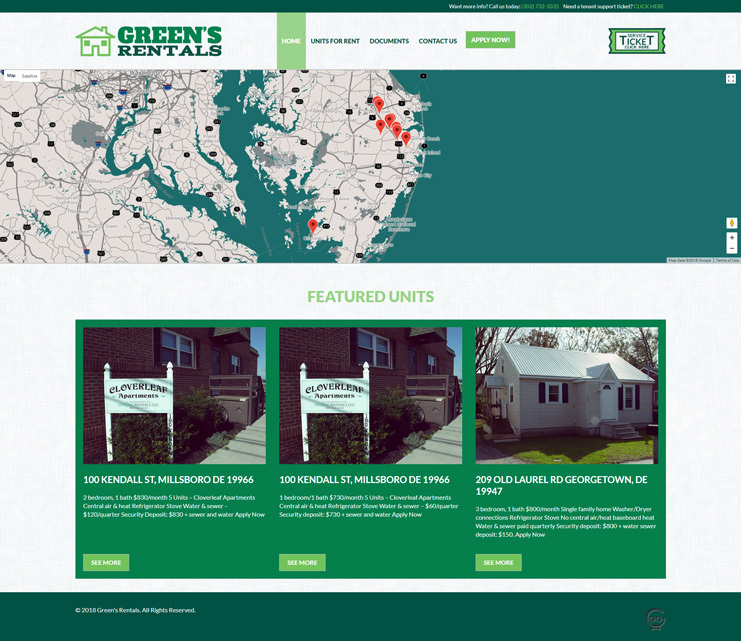 A unique website for a very “green” Sussex County and Eastern Shore rental company. Create a new website for an established rental company with an easy-to-use online rental application. Our team worked hard to make sure that this site turned out just right. With an advanced back-end system, the client can manage all of their properties right from the website. The client also has access to their entire rental application online.